Alternative methods of wellness and healing are often attributed to Eastern origins, primarily because the people of China reportedly have the longest recorded history, the oldest civilization, and the most enduring culture and traditions. While the Chinese civilization has not yet self-destructed, unlike many of its planetary counterparts, its characteristic beliefs about wellness and healing are quite universal. A universal belief about wellness and healing is that they both involve energy. Life itself is energy, qi or chi (pronounced chee) as it is referred to in China. Socrates, who lived hundreds of years before Christ, described the universe as pure energy. More recently, Einstein combined the motion of energy with the speed of light into a mathematical equation explaining kinesis, E=mc2. Quantum energy, unified field theory, and the work of Boscovich and Tesla, provide the scientific evidence supporting the fact that life itself is energy. Therefore, life naturally requires and emits energy to exist, consuming and producing it as it goes. Humans require the same give and take to live healthy lives. Physical health consists of matter, which is a limited manifestation of energy that needs to be expended and replaced continuously to sustain life. Fulfilling nutritional requirements results in physical strength and health, with the alternative being disease and death. Mental health also requires continuous energetic exchange of ideas, thoughts and feelings, although consciousness consists of infinite potential. Fulfilling that potential results in feelings of ecstasy, while the alternative can lead to mental illness or suicide. Electrophysiologists are cardiologists who specialize in heart rhythms. They read the electric impulses emitted from the heart using electrocardiography (ECG). When electrical activity in the heart ceases, the ups and downs on the ECG go into a flat line, but delivery of a well-placed electric shock will often cause the heart to beat again. Implantable pacemakers also stimulate the heart to beat. Neurologists read the electrical impulses emitted from the brain using electroencephalography. Now “pacemakers for the brain” have been developed that can improve symptoms of Parkinson’s disease and possibly other conditions. In addition, a noninvasive use of magnets called deep transcranial electromagnetic stimulation appears to be effective in the treatment of depression and other forms of mental illness. 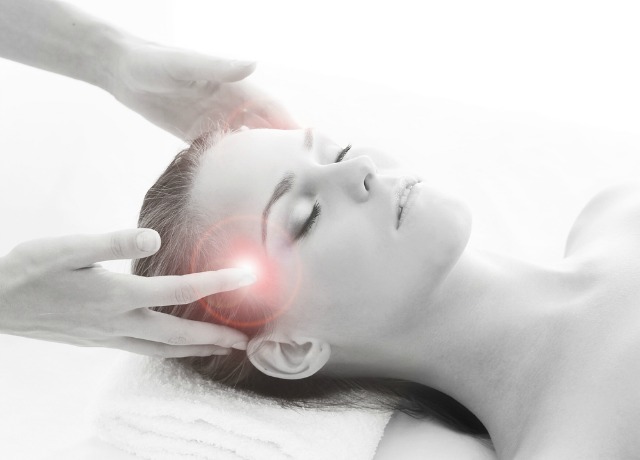 Energy healing basically uses mental and physical energy transfer using a variety of methods. This form of healing has made its way into modern medical literature as a form of healing under many different aliases and includes biofield science, Reiki, therapeutic touch, qigong. There appears to be a divine nature to energy exchange in the very same way there is to life itself. Physical and mental illness can, therefore, be theoretically prevented or treated by providing the necessary energy at the right time and place. Maybe sharing energy is how the Chinese civilization has made it as long as it has. Perhaps we all have the social responsibility to care for each other and help everyone achieve his or her full potential. Sovereign Health of California treats individuals with mental illness, substance use disorders and dual diagnosis. We combine the most accurate and effective approaches to diagnostic assessment and treatment, providing optimal long-term outcomes. Comprehensive treatment includes novel, conventional and holistic therapies tailored for each individual patient. Our ongoing continuing care program provides the support patients need to remain free from addiction and recover from all of its consequences. To find out more about specialized programs at Sovereign Health, please call us at our 24/7 helpline.